Ah, Saturday. Time to look back at three beautiful things from the past week. 1. I got to gorge myself on this all week long. Yum! 2. I got the call that the kittens have finally gotten a clean bill of health and are big enough to be spayed – making them adoptable at last. I’ll be picking them up tomorrow! 3. I mentioned it yesterday, but the picnic that sprite arranged for our Friday night was just about perfect. In addition to good company, the weather cooperated and – rather than the promised thunderstorms – the evening was comfortable and breezy. 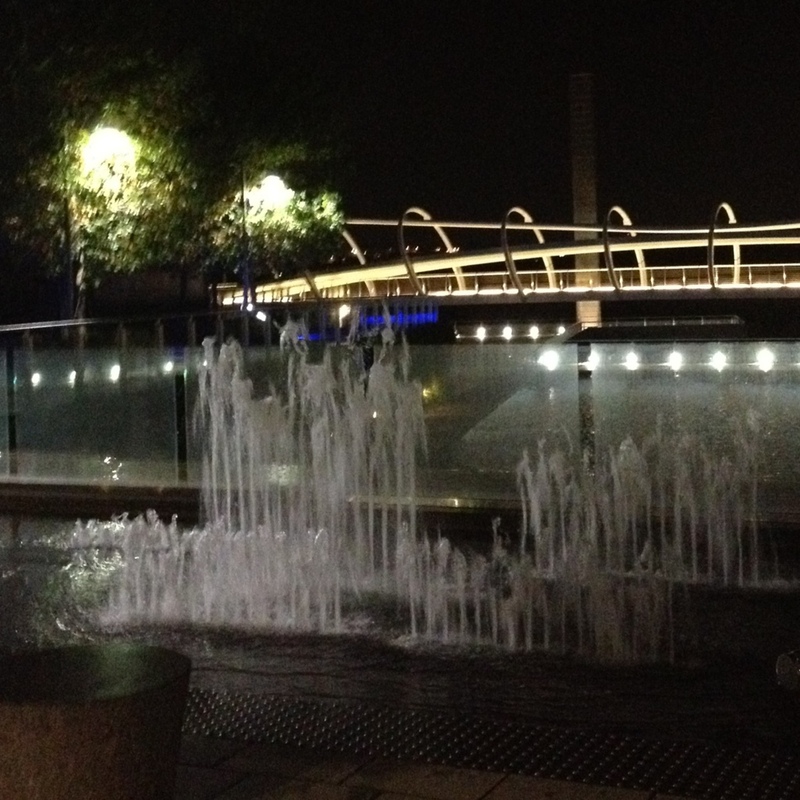 The Yards Park after dark, Friday, August 10, 2012. 1. Get together with girlfriends. In this group of 3, I am comfortable with my label as the “limiting factor.” I am not a night owl, and am generally the first one to scurry off to sleep. I stayed up until 2 a.m., sans voice, and we resolved not to wait another 4 years to get together again. 2. My voice returned. It was lost. Everyone was whispering at me, even our youngest. 3. We harvested the first pumpkin off our vine. It was 30 pounds, which made 22 cups of pumpkin puree (probably 25 if I was a pioneer, but I was not careful enough…plus there are 8 more pumpkins to go). The fresh from the garden pumpkin pie was an excellent addition to our National Night Out party. Very excited to see (tomorrow’s?) post about your kittens! 1. Mom got her voice back. 2. Got a new hockey stick – a composite stick – since the old one snapped during this week’s skate. 3. Tied my own skates!